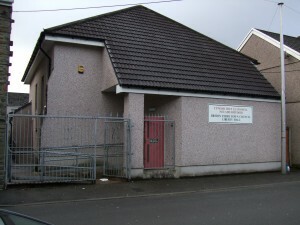 The hall in Mansel Street is owned and run by the Town Council for the use of the residents of Briton Ferry. It is used every day for lunches(see below) but is also available for hire. It is the former Pensioners hall which the council purchased from the mens pensioner group. Since then it has been completely refurbished. The hall is open for lunches from Monday to Friday between 09.30am to 1.30pm for the residents of Briton Ferry who are of pensionable age, unemployed or disabled. The meals supplied are of a high quality, and served by staff who are welcoming. For the price £2.50 a dinner is served and for a further 80p a sweet is available. Drinks can also be purchased. The total cost of a full meal and drink is £3.60p. This service has been available for a number of years, but, unfortunately the residents of Briton Ferry seem rather shy or unaware the service exists.